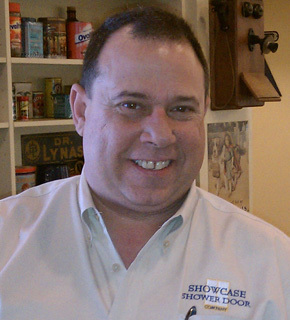 Showcase Shower Door Company is a local, family owned business that specializes in interior glass projects like shower doors and custom mirrors. We design, fabricate, and install custom frameless glass shower doors, frameless steam shower doors, neo angle shower doors, sliding and bypass shower doors, corner shower doors, and bathroom shower enclosures. Each project is handled by the owner, Chris Phillips, from start to finish. He will guide you through the entire process and answer all your questions personally. Showcase has been doing business this way in Santa Cruz for years. Guaranteed craftsmanship and new technologies, quick turn around and service after the sale – these are just a few things that set us apart from the rest.